Proper maintenance is always the best way to keep your vehicle working the best it should be. If you notice an issue with the vehicle, make sure to schedule an appointment with us because then we can inspect it for you. Regular parts and components should be checked based on the schedule. If you are not sure how often this should be, contact us and we can advise you on the right schedule for your vehicle. Brake pads often suffer extreme thermal cycling, and wear. The tires should be removed, because then we can see the brakes for you. When there is an issue, we can replace the brakes as soon as possible. Noticing an odd sound or noise will indicate an issue, since this means something is wrong. This could be a squealing or clunking noise that you notice. Anything out of the norm should require immediate attention for your vehicle. By washing the car, you will help keep it clean and looking in good condition. This also results in a decrease in chance the car will develop rust on it. This can lead to a decrease value for your vehicle as well. Having it washed and waxed will help keep the paint as new as possible too. Proper maintenance, and also keeping it clean, will help the longevity of it. The oil will need to be checked regularly as well, and ensure it is in good condition. It will also help lubricate the engine, so it will help to help the moving parts as well. The oil should be changed on a regular schedule as well. This will help to make sure it is fresh and clean. We can recommend an oil change schedule for you as well, and how it benefits your vehicle. Bring the vehicle in this summer, and we can check it for you. Summer is a great time to inspect your coolant level and coolant mix, because of how much you will drive. 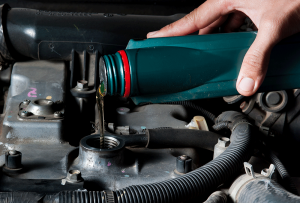 The fluids will need to be topped off for your vehicle to work efficiently. If there is leak in the system, we can inspect and repair it for you. This will also help to prevent costly repair bills. If a fluid is dirty and full of pollutants, we can flush it. This will allow new, clean fluid to be replaced in the vehicle, and help it last longer.